A member of the ISS crew, Randy Breznik, published a panoramic image of the northern lights, made from the station’s board. 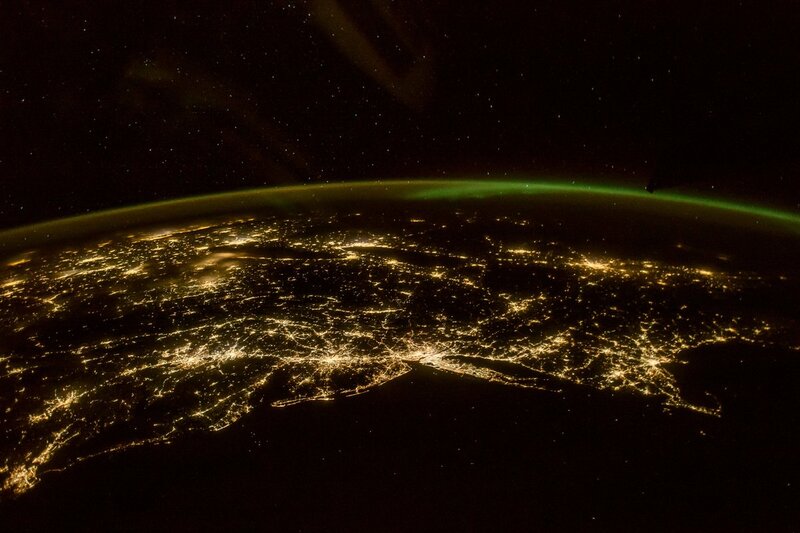 According to the astronaut, the picture captures the cities of New Jersey and New York. Residents of the USA were extremely surprised, noting that they did not expect to see such a natural phenomenon in this part of the country. Northern Lights – glow of the upper layers of atmospheres of planets that have a magnetosphere, which occurs when interacting with charged particles of the solar wind. This phenomenon is observed mainly in the high latitudes of both hemispheres.